Believe it or not, I only discovered Elf on The Shelf a couple of years ago and thought it was such a cute tradition. I love the Holidays and tend to embrace every tradition that brings a little magic into the house. We started doing Elf on the Shelf last year when my son was one and while he didn't fully get it, you could tell he was amused and curious. We made some modifications to the story, since I'm not a fan of the idea that the Elf is a tattle-tale, but we do enjoy creating new harmless tricks for the Elf to do every night. My son named our Elf "Cacahouète" (Peanut, in French) and loves seeing what he's up to. 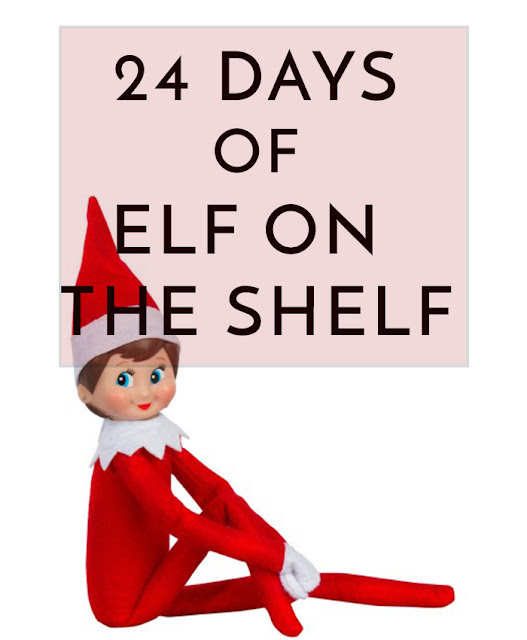 And because it's not always easy for us parents to rack up our brains at 10pm at night to find a new trick for the Elf to do, I rounded up some ideas below. 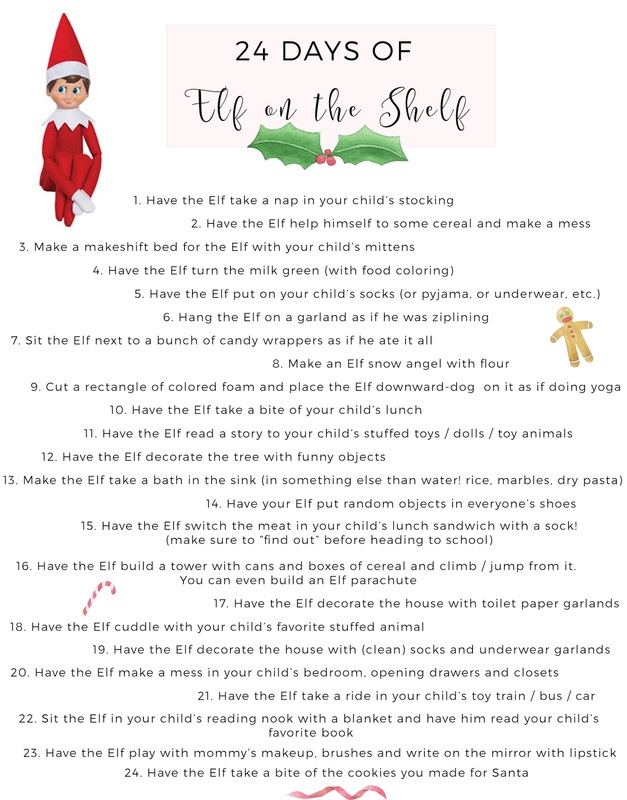 Pin away and let me know what your family Elf likes to do in your house!